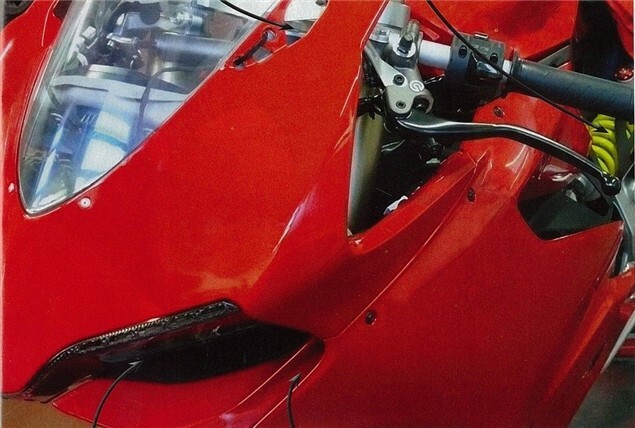 CLOSE-UP details of Ducati's new 1199 superbike have emerged from Italian magazine Motociclismo, which gained access to one of the machines and was able – either with or without Ducati's approval – to take some close-up photos. 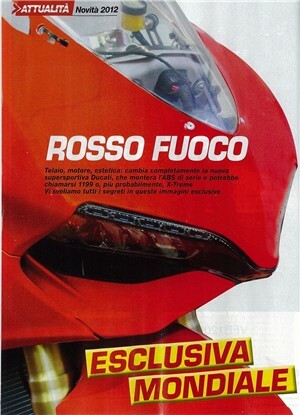 The lack of an overall image of the bike, and the fact several key details like the under-belly exhausts and the design of the new tail and swingarm have been left out, suggests that the pictures are part of a carefully orchestrated teaser campaign by Ducati. Regardless of their origin, though, they provide the first look at several parts of the new machine. The image of the instruments and headstock is particularly important. As well as showing the beautifully-designed top yoke, the shot gives the first glimpse of the new bike's Desmosedici-style monococque chassis and reveals that the head angle of the new bike will be adjustable. 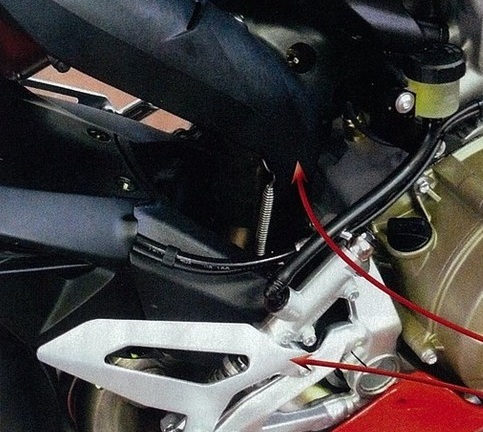 Motociclismo also points out some mystery switchgear on the right hand bar, probably related to multiple engine, traction control or suspension models. Other shots clearly show the new headlight design, with a strip of LED running lights along the top of each side. The headlights themselves are slated forwards to help direct air into the intakes underneath them. 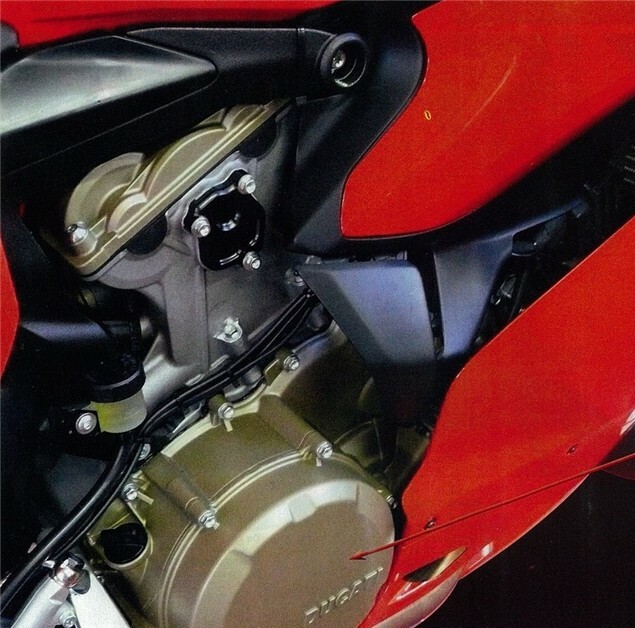 The engine is clearly unlike anything Ducati makes today, finally breaking the chain of development of the current L-twin that can be traced back to the first Desmoquattro of the 851 Superbike. 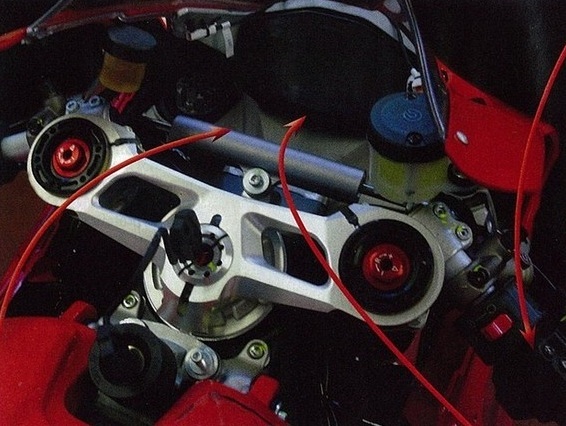 The belt driven cams are gone, replaced by what appears to be a gear-driven camshaft arrangement. 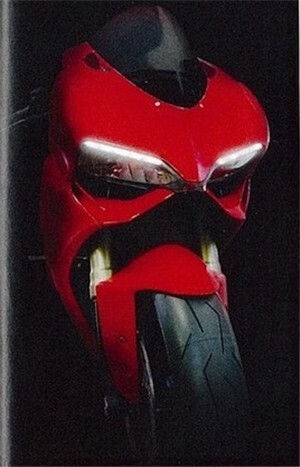 Along with the rumoured short-stroke design of the engine and the inevitable desmo valve set-up, gear-driven cams would point to the engine being remarkably high-revving for a big V-twin. And it's definitely a “V” rather than an “L” - the motor is tipped backwards in comparison to earlier Ducatis, helping shorten the wheelbase and moving the weight of the crankshaft further forward. Selena Gomez Taken to Hooters--Really, Justin? MASSIVE VAMPIRE DIARIES SEASON 3 SPOILERS!